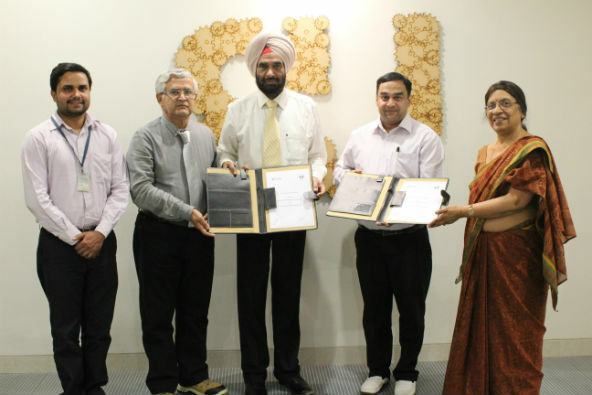 New Delhi: The only University in India with a ‘Swiss Dual’ education system, Bhartiya Skill Development University (BSDU), Jaipur today announced MoU with Forsk Technologies, a company having expertise in project based learning in higher education. Under this partnership, Forsk Technologies will assist BSDU as knowledge partner, to develop, promote and deliver BSDU’s M.Voc. program in embedded systems & IoT skills and B.Voc. Program in Machine learning and AI skills which are both due to start in July 2018. Association with Forsk Technologies will provide the students a unique opportunity to work with an industry exposure and have a project based learning with a lot of hands-on experience.